I truly love to serve others with my time and resources – when it’s out of my abundance. Now that I’ve decluttered my home and reevaluated my entire schedule, however, I’m finding that when I give, it’s more of myself than my abundance. And that’s the way we should give – sacrificially. But there’s a much bigger sacrifice than one I’ve ever made. Today I think of all those who have lived their lives, and then lost their lives, in service to our country. Those men and women served us even though we’re mere strangers to them. 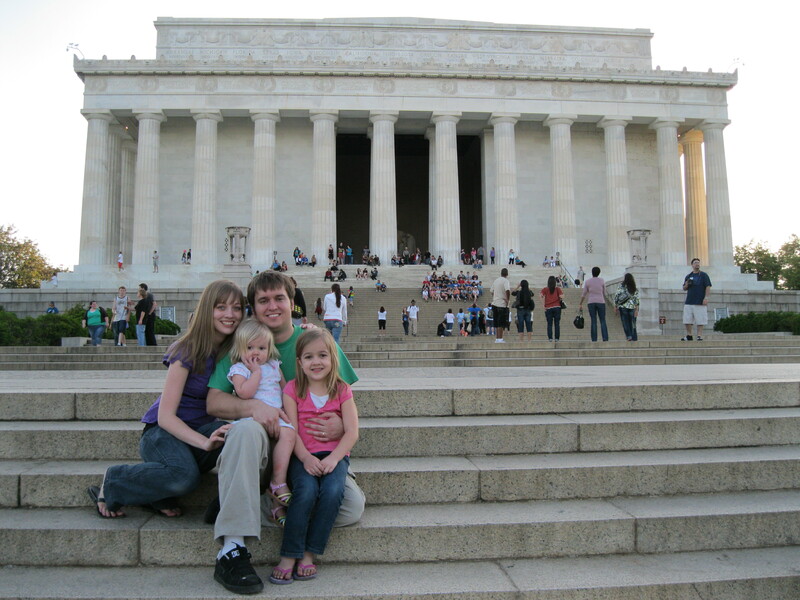 They served when they were hungry, fatigued, missing their loved ones, and longing for a little time off. Even when they didn’t feel like it or it was inconvenient, they served anyways. Sometimes I feel grateful, but too often I tend to forget the sacrifice of others as I instead see holidays like today as an excuse to have a day off work and school so I can enjoy grilled hamburgers and lemonade with my family. Today, let’s go ahead and enjoy our burgers, but let’s also remember why we have freedom. We should think of those who lost their lives for our freedom, and their grieving family members, even if we don’t know those people personally.We can also tell our children why we choose to remember and reflect. I know that the more I give, the more joyful it can become, with God’s help. 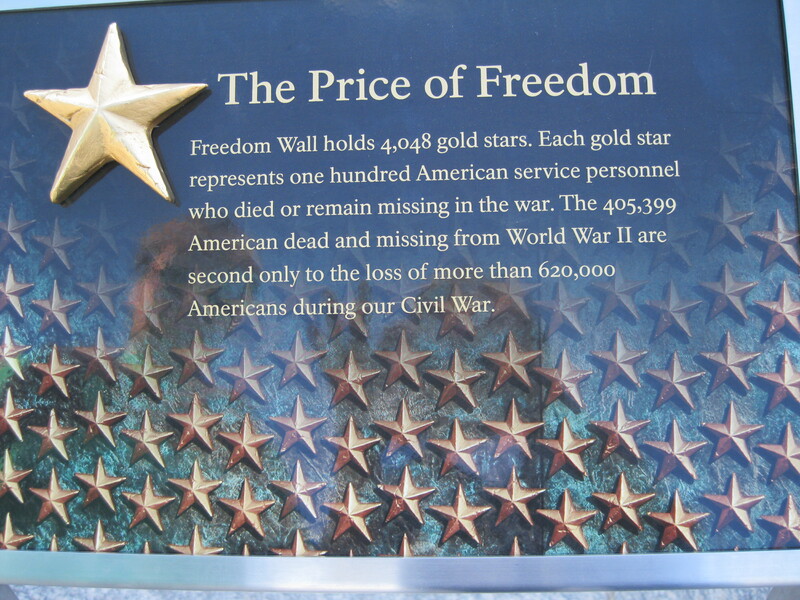 And I can remember He who paid the ultimate sacrifice, not just for a country or a time period, but for all mankind – a sacrifice that transcends time. Thank you Lord, for sending your Son to earth to show the ultimate sacrificial example in life and in death. Thank you for your patience with me as I learn to find joy in the sacrifice. In Jesus name, Amen. 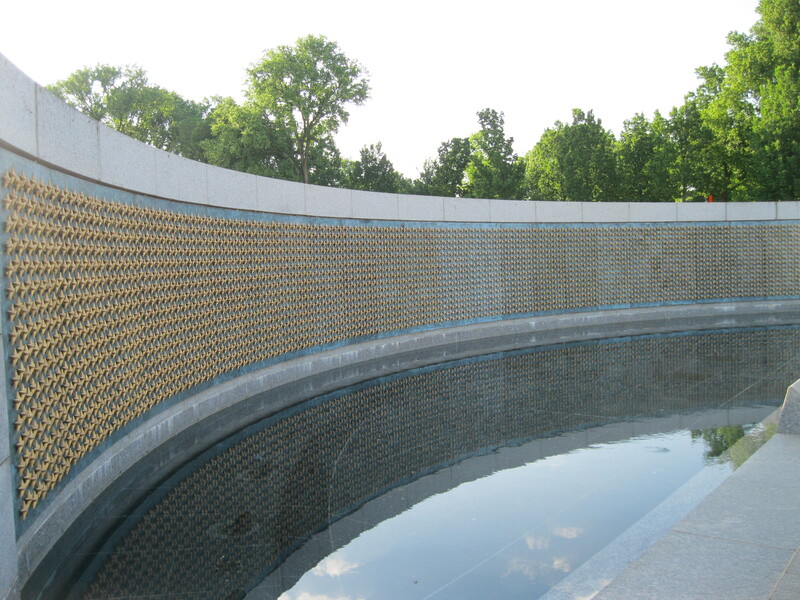 Each star represents 100 American service personnel who died or remained missing from WWII.